Soba noodles are a bit underrated as far as Asian noodles go. They are so often overshadowed by more familiar noodles like chunky lo mein, springy ramen, and delicate rice vermicelli. Soba noodles are a Japanese noodle made of buckwheat flour, which not only provides a healthy amount of fiber and protein, but also gives them an earthy taste and meaty texture. What makes them even more appealing is that they cook in 3-4 minutes. They hold up well in a number of cold and room temperature preparations, and I have made them most often with different Asian flavor profiles- flavors of sesame, peanut butter, soy, ginger, etc.. A few years ago, I watched an episode of No Reservations that inspired me to give the soba noodle a chance in my own kitchen. In the episode, Anthony Bourdain visits a Japanese restaurant that prides itself on making the perfect soba noodle for more than 200 years. Along with many other requirements, each noodle must be 1.6 mm in width and cooked to a specific doneness. 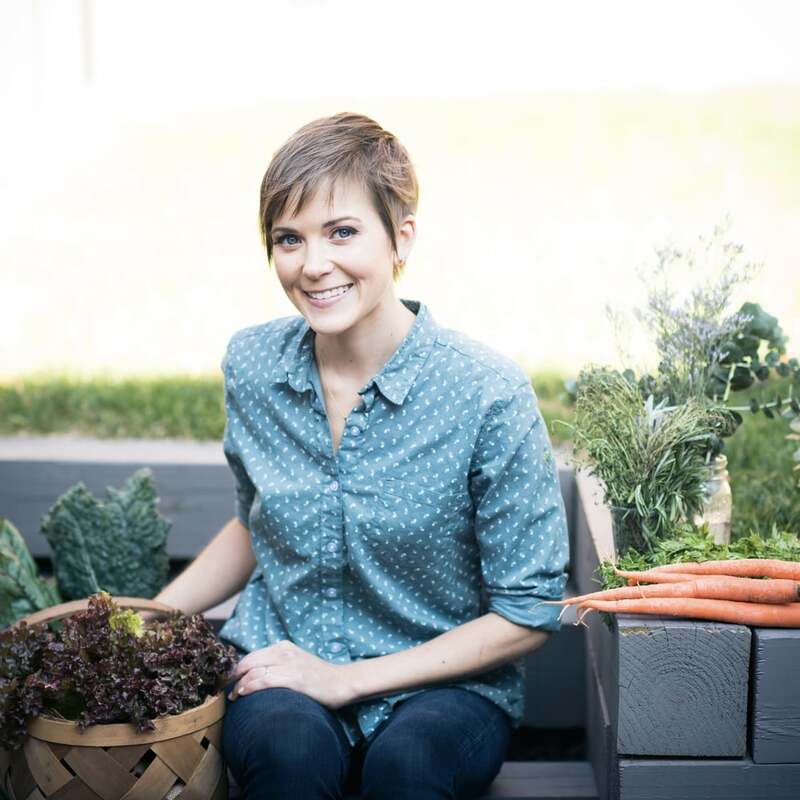 It is this attention to detail, this appreciation for and celebration of such pure ingredients that gets me excited and makes me want to get into the kitchen and celebrate these ingredients in my own way. In this recipe, I combine the noodles with an entire head of cauliflower that I grate and roast until a bit crispy, toss everything with a bright sesame and cilantro dressing, and garnish with toasted macadamia nuts. This makes a great side dish or make-ahead lunch, and to make it a more complete meal, we served it with some diced tempeh that we sauteed in coconut oil until crispy. Preheat oven to 400 degrees Fahrenheit. Line a baking sheet with parchment or a Silpat. 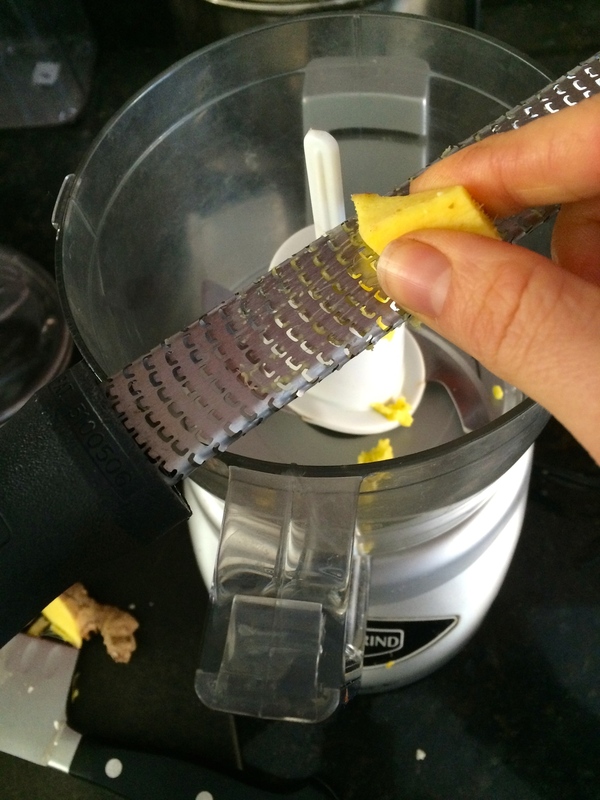 Using a box grater or food processor with a grating blade, grate the cauliflower, including both florets and stems. I cut my cauliflower into fourths to make it easier. Toss with 1 1/2 tablespoons melted coconut oil and 1/2 teaspoon salt. Spread cauliflower onto baking sheet and bake for 35-40 minutes, stirring twice throughout the baking. The cauliflower will shrink down a lot and begin to crisp a bit. While the cauliflower cooks, toast the macadamia nuts. 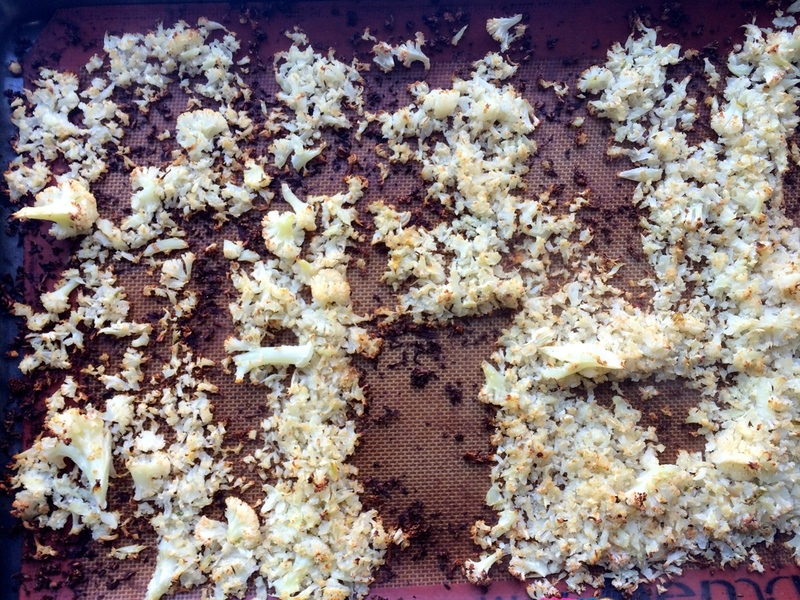 Place the macadamia nuts on a baking sheet and place in the oven with the cauliflower for 8-10 minutes. 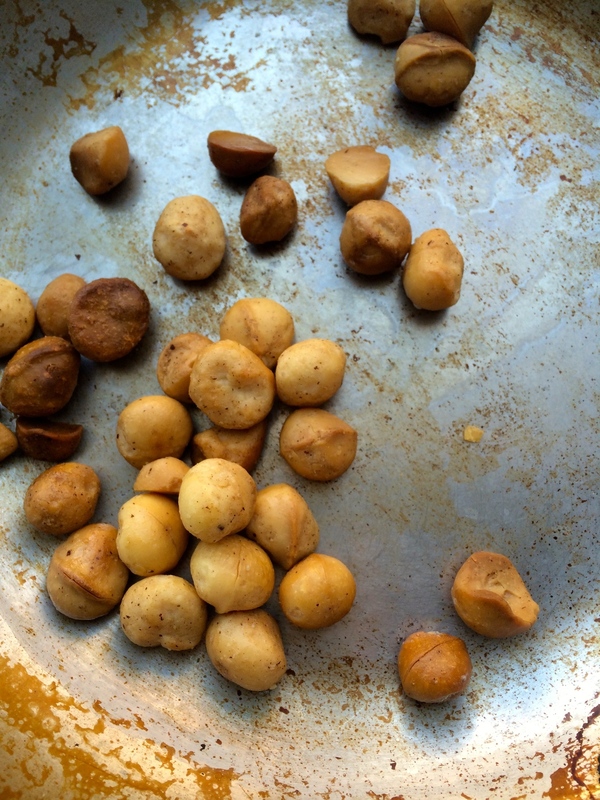 Because of their higher fat content, macadamia nuts cook a bit faster than other nuts so watch them carefully. Remove the nuts from the oven and very roughly chop. Prepare the dressing. 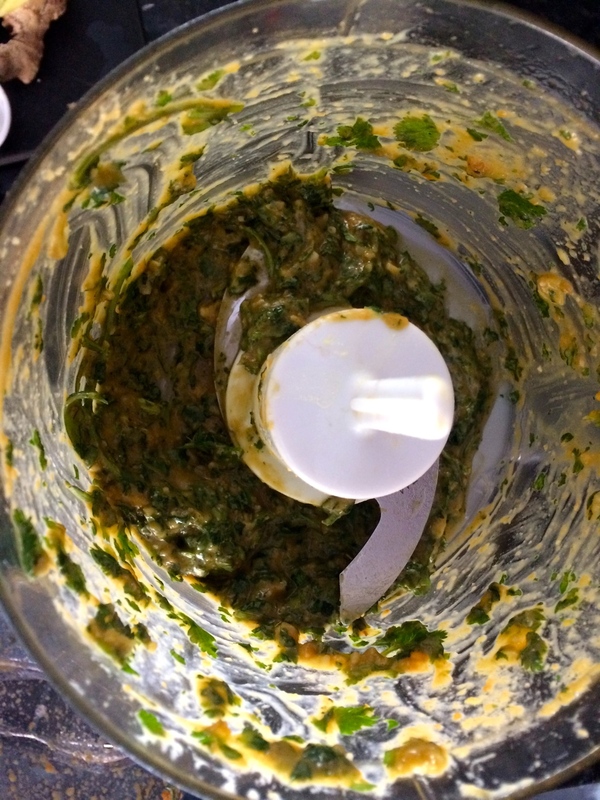 In a blender or mini food processor, place all of the dressing ingredients, except the cilantro and blend until smooth, scraping down the sides often. 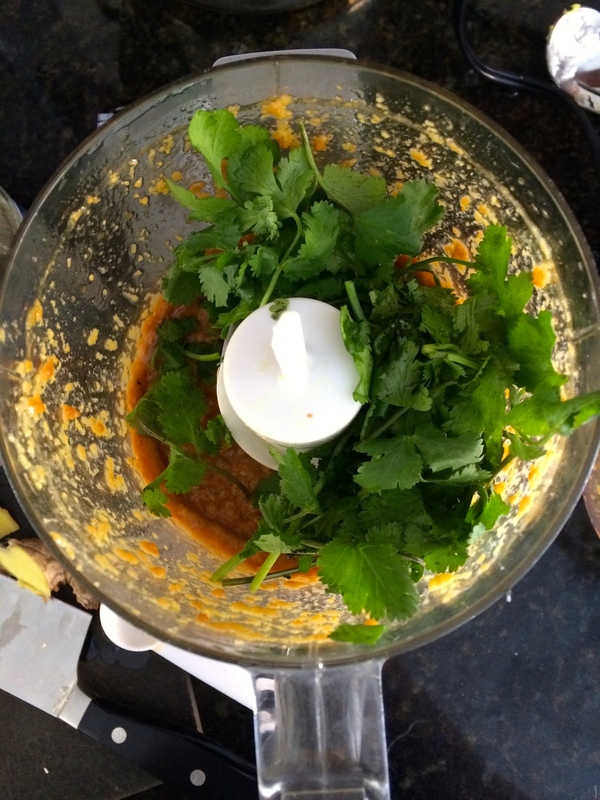 Add the cilantro, and pulse a few times until the cilantro has been incorporated. Cook the soba noodles. Bring a pot of water to a boil. Add a pinch of salt to the water, then add the soba noodles, making sure they are all submerged. Cook for 3-4 minutes, testing the noodle for doneness. When you bite into it, you should see a tiny white speck, much like you find in an al dente Italian pasta noodle. Drain the noodles and immediately rinse under cold water to stop the cooking process. Add the cooked soba to a bowl large enough for mixing. Toss in the roasted cauliflower pieces and the dressing. Sprinkle in half of the chopped macadamia nuts and mix everything together. Garnish the top with the remaining macadamia nuts and serve. Serves 2-3.